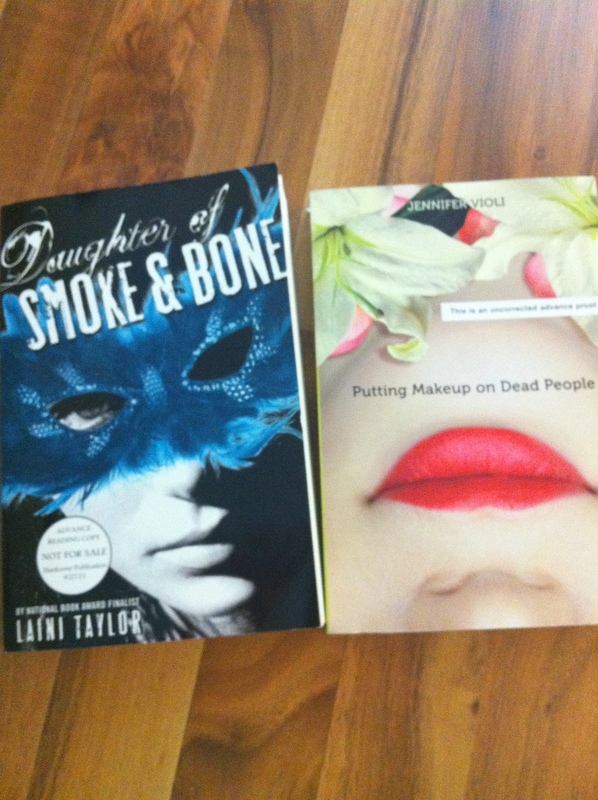 I interrupt my writing time to share the pleasant surprise my mail(wo)man just delivered to me: ARCs of Daughter of Smoke and Bone, by Laini Taylor, and Putting Makeup on Dead People, by Jennifer Violi. HUGE HUGS and SQUEES and THANK YOUS to my lovely friend, Carol for her thoughtful gift! 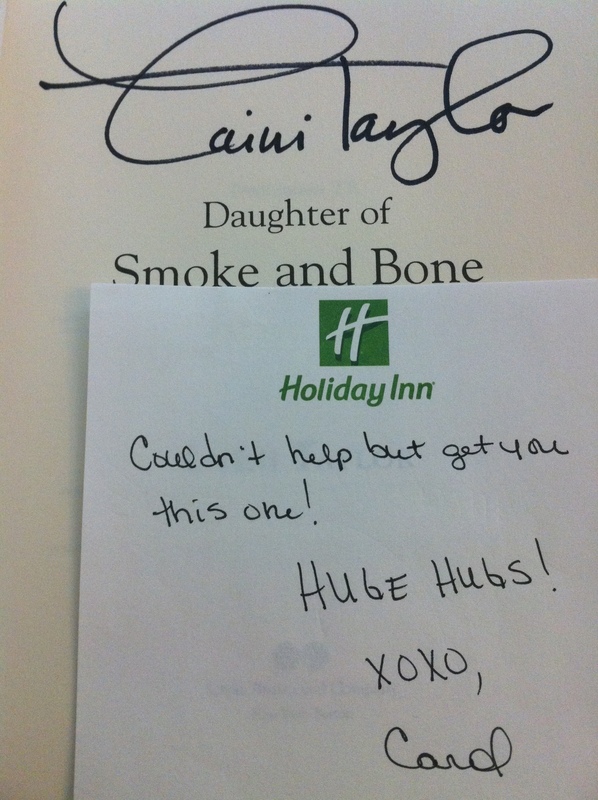 Daughter of Smoke and Bone is AMAZING! I borrowed an ARC from a friend, and loved it and talked about it so much that Carol was nice enough to get me an ARC of my own! Love you, girlie! Sorry I didn’t have a proper letter for you. Ha!! Hope you like the Violi book, too. It had a premise I thought you might like. Can’t wait to review them!